Freezing temperature -25°C, freezing time 4 hours, examination temperature -3°C, Olympus Optical Microscope (x200), 50 water samples from a Flaska bottle examined and 50 control samples examined, carried out on 14 December 2012. 3 water samples, 100 measurements for each, carried out on 28 June 2011. The study showed that the Flaska bottle causes changes in water. A greater effect was noticeable in water which had been in a Flaska bottle for 1 hour. This water showed greater variation in surface area and intensity. Water which had only been in a Flaska bottle for 5 minutes showed an increased entropy and RMS index. The table displays the differences in values. Samples from 10 persons, 6 measurements for each, carried out on 10 January 2013. 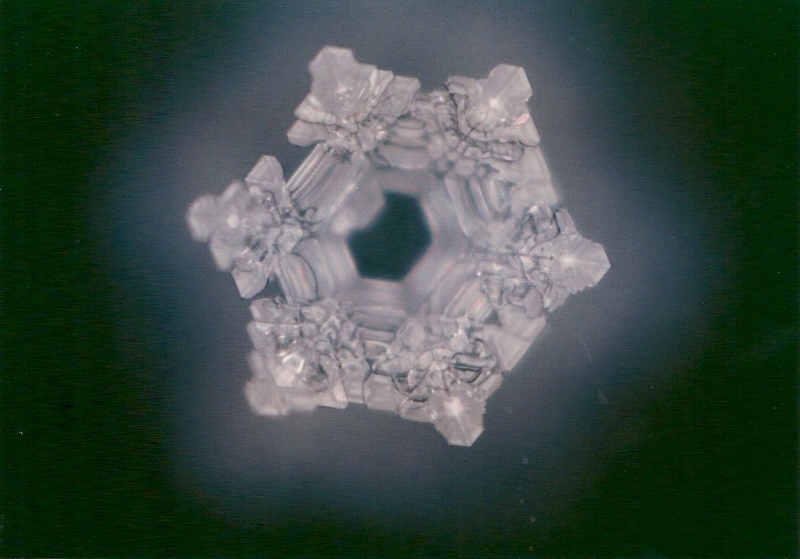 Water from a Flaska bottle presumably has beneficial properties which affect the activation, entropy and overall energy of human organisms at the biofield level. 4 measurements, 5 onions used for each, 200 metaphase cells examined, carried out on 28 June 2011. 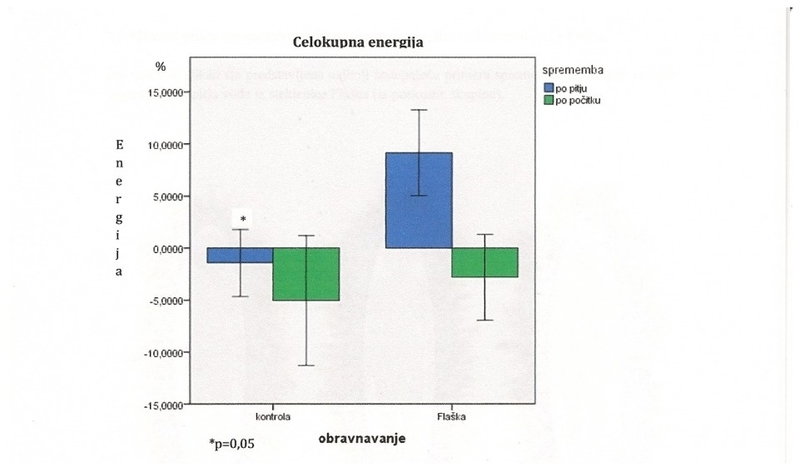 The level of genotoxicity decreases in the Flaska bottle from 20,0 percent to 11,0 percent. The results were obtained using Allium cepa L. onions. Allium metaphase genotoxicity test for drinking water, environmental samples and chemicals. 6 bottles in the test group and 6 bottles in the control group, carried out on 2 August 2012. The Flaska bottle showed a minor improvement in water droplet development structure, which is considered as a sign of higher water quality. Additional measurements with a larger number of samples are recommended. Overall impression 10 (Flaska): There is again a distinct similarity to sample no. 9. However, the available structural elements are enhanced: The “crystal flower” at the centre of the droplet photograph has a clearer and more colourful form. The droplets have a greater overall intensity and appear more vital. 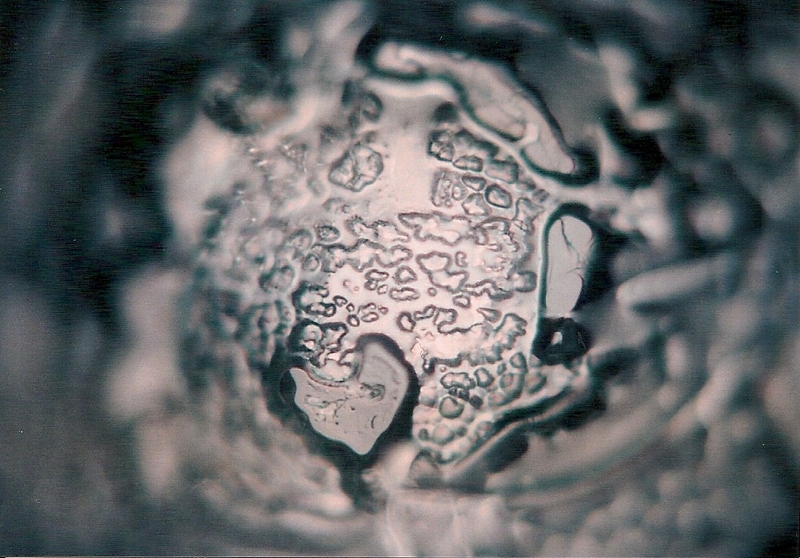 The remains of the drops of the tested C mineral water have a well pronounced edge, a circle of a varying thickness, as well as a variety of mineral structures. Their true complexity is only visible with a high-resolution microscope inspection with a 100x to 400x magnification, which is inevitable for a plausible sphericity index assessment. The sphericity index of the Flaska samples is typically higher (by 55%) than the one of the non-incubated water (p = 0.03). Also the sphericity index of the Flaska typically differs (by 44%) from the sphericity of the samples from the control Flaska (p = 0.008). The described measurements examined water from a Flaska bottle from different perspectives and compared it to identical water which was not in a Flaska bottle. The measurements revealed different changes in the water: we have found a common denominator in the term “vibrationally structured water”. We would like to stress that this evidence is not recognized or dealt with by official science and accepted standards and is, for the time being, the subject of so-called alternative sciences.